EcoSheds offer a range of attractive rustic styled Timber buildings designed to enhance and blend in with any outdoor setting. 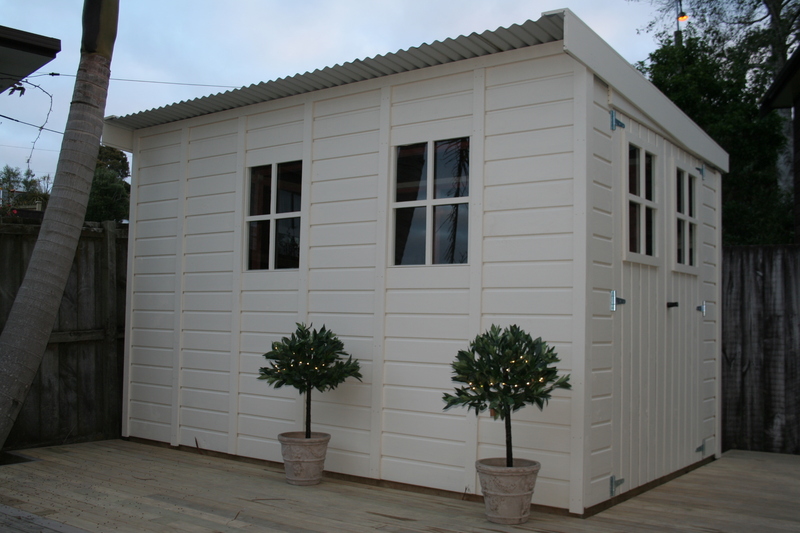 A number of different sized models are available to provide many uses, from a small tool locker or garden shed to a large home workshop or studio. The buildings are available in kitset form or we have a team of builders that are available to construct the kitsets on site. The kitsets come with assembly instructions and all the necessary fixing components.EcoSheds are clad in natural, durable, eco-friendly, NZ Oregon Timber. The kitset consists of pre-made ‘easy to handle’ wall panels that simply screw together to form the walls of the building. We supply different sizes all under 10sqm – No need for council consent. We can construct the kitset for you – in certain areas. The modular construction allows doors and windows to be placed in different positions on the building. A timber floor, verandah and deck, fixed and opening glass windows.